Men… Give your Valentine the gift of Love and Self Defense. 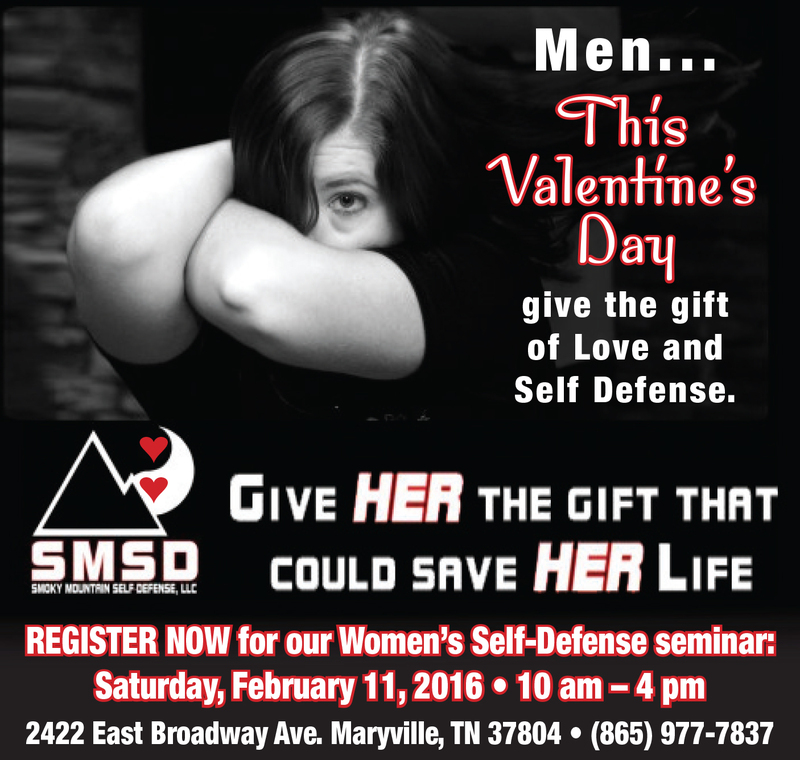 Give HER the gift that could save HER life with our Women’s Self-Defense seminar. Regularly valued at $80 each, now only $40 with this deal! Seminar will be held on Saturday, February 11, 2017 from 10am-4pm at Smoky Mountain Self-Defense, 2422 East Broadway Ave., Maryville. Find the deal from the Maryville Alcoa Daily Times: http://thedailytimes.nimbledeals.com/deal/maryville/smoky-mountain-selfdefense-2. For more information go to www.smokymountainselfdefense.com or call (865) 977-7837.